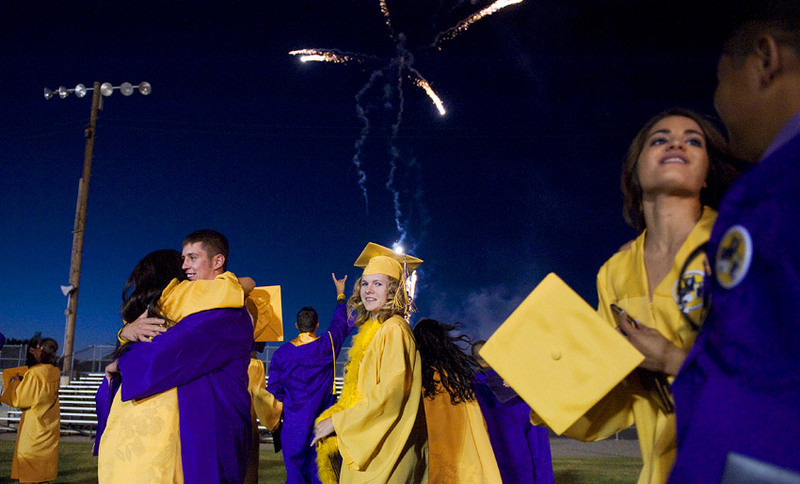 May and June is the time for graduation celebrations, and what better way to mark the occasion than with some fabulous graduation fireworks! Thousands of students will be graduating at this time of year, from schools, colleges and universities across the country. Many will be leaving good friends to move on to pastures new, whilst others might have reached the end of their studies altogether. Fireworks are often used at times of celebration, and therefore graduations are no different. 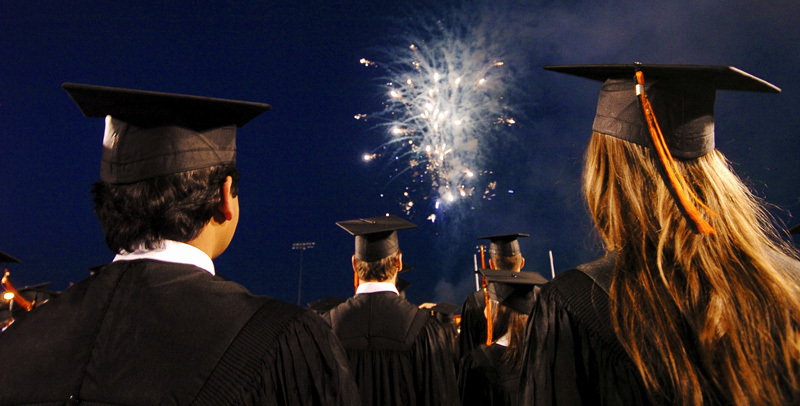 Graduation fireworks and organised displays are becoming increasingly popular in the UK after many years of seeing these kinds of celebrations in the USA. Graduation fireworks do not have to be large scale events based on academic premises however. It is very possible to arrange smaller private garden displays with just the closest friends and family to enjoy. Sometimes a more intimate affair can even make the celebration that bit more special. Here at Fireworks Den we sell fireworks all year round and for all occasions. There are fireworks to suit all budgets, and plenty to fit into smaller inner- city gardens safely. Check out some of these – we think the names are pretty appropriate for celebrating academic achievements! Of course you do not have to choose fireworks based purely on the name, you can also browse all of the fireworks on the website and then choose effects of the fireworks, perhaps by colour, spread, or speed of the shots. If you have recently graduated or are due to graduate this Summer, then CONGRATULATIONS from Fireworks Den, and we hope you choose to celebrate with us! Contact us here for any further information. This entry was posted in Uncategorized on May 14, 2013 by Becky.